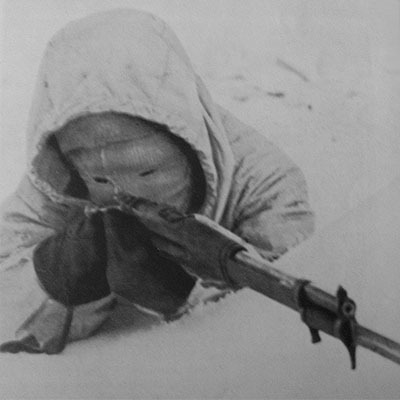 Simo Häyhä, also known as “The White Death” is widely regarded as the most skilled and successful sniper there ever was, with over 500 kills to his name. 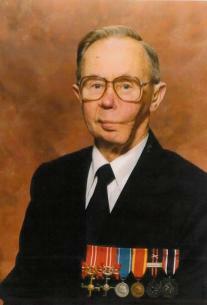 He helped defend Finland from the Soviets during World War II. Here is his story. Depending on the record, Simo Häyhä was born in 1905 in the farming town of Rautjärvi. Once the Soviet Union was formed and Finland had gained its independence, the town in which he lived found itself to be only a very short distance from the Russian border. His childhood was filled with plenty of hard work on the farm, which coupled with the Finnish wilderness made him a very tough – yet patient – man. A few years later in 1925, Häyhä served a mandatory one-year service in Finland's army. While one year may not be a long time, he obviously made the best of it: by the time he was honorably discharged, he had been promoted to the rank of "Upseerioppilas Officerselev" (corporal). Later on, Häyhä joined the Finnish Civil Guard, a military organization comparable to the National Guard in the United States. During his time with the Civil Guard, he received a great deal of training, which included target shooting. Shooting was always an interest for Häyhä, and any spare time he had was spent outdoors shooting at whatever targets he could find. His first rifle was a Russian-built Mosin-Nagant bolt action M91, and was later introduced to the better-performing M28/30 and the 9mm Suomi submachine gun. Thanks to both his training and natural enjoyment of shooting, Häyhä was eventually able to hit a target 16 times per minute at about 500 feet away, making him an excellent sniper—a skill that would later serve him very well. In 1939, the Soviet Union attempted to invade Finland. 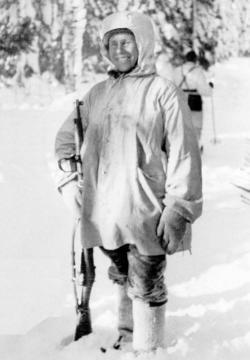 Being a member of the Civil Guard, Häyhä was called into service, serving under the 6th Company of JR 34 on the Kollaa River. Commanded by Major General Uiluo Tuompo, the Finns faced both the 9th and 14th Soviet Armies, and at one point were fighting against as many as 12 divisions - about 160,000 soldiers. Also at one point in the same area, there were only 32 Finns fighting against over 4,000 Soviets! Despite being outnumbered,the Finns were still victorious at the end of the day. The invading Soviets weren’t as organized as one would expect: they spoke many different languages, and they weren’t used to the harsh Finnish winters either. In fact, the winter of 1939-40 was very snowy, and had temperatures ranging from -40 to -20 degrees Celsius. The Finns were also smart in their tactics, the most notable of which were known as “Motti”-tactics. Since the Soviets would invade by the roads, the Finns would hide out in the surrounding wilderness. They would then let the invaders cross the border, and attack them from behind! Simo Hayha's involvement in the Winter War was very extraordinary. With his Mosin-Nagant M91 rifle, he would dress in white winter camouflage, and carry with him only a day’s worth of supplies and ammunition. While hiding out in the snow, he would then take out any Russian who entered his killing zone. Hayha preferred to use iron sights on his gun instead of scopes, as scopes had a tendency to glare in the sunlight and reveal his position. He would put snow in his mouth to hide his breath from being seen in the cold air. While he may sound like an ordinary sniper, this was far from the case: over the course of 100 days during the winter he racked up over 500 kills, earning him the nickname “The White Death”. The Soviets feared him so much that they mounted numerous counter sniper and artillery attacks to get rid of him, all of which failed miserably. However, on March 6th, 1940, he was hit in the jaw by an explosive round from a counter sniper. He fell into an 11-day coma, awakening on the day that the war ended. Hayha was given numerous awards, and was also promoted from corporal to second lieutenant, a jump in the ranks that had never been seen in Finland’s history. Despite being slightly disfigured, he recovered from his injury, and went on to live until the age of 96. He allegedly attributed his deadly sniping skills to “practice”. 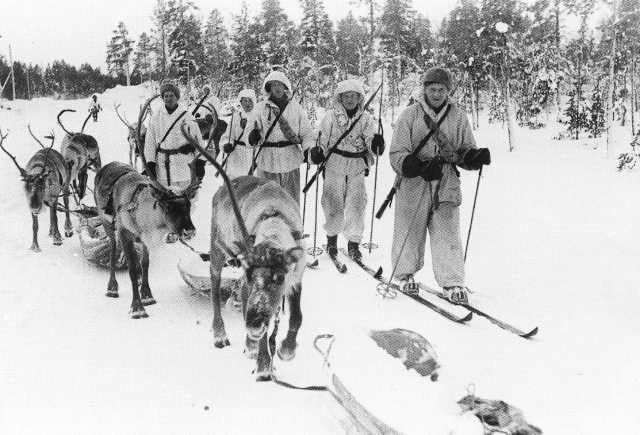 Despite gaining around 22,000 square miles of Finnish soil, the Soviets lost the Winter War, with 1,000,000 of their original 1,500,000 troops having been killed by the defending Finns. A Russian general later remarked that the land they had conquered was “just enough to bury their dead”.